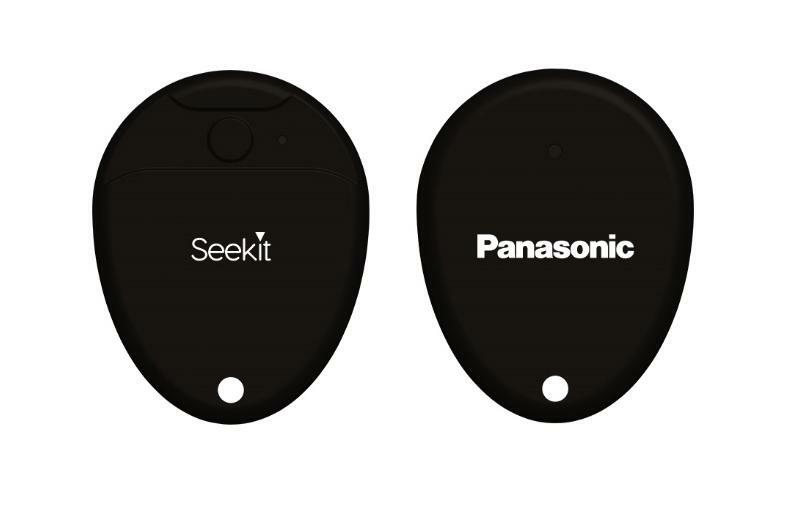 New Delhi, India - November 21, 2018 - Committed to building a connected ecosystem, Panasonic, a leading diversified technology company, today announced the launch of an IoT based utility product Panasonic Seekit. 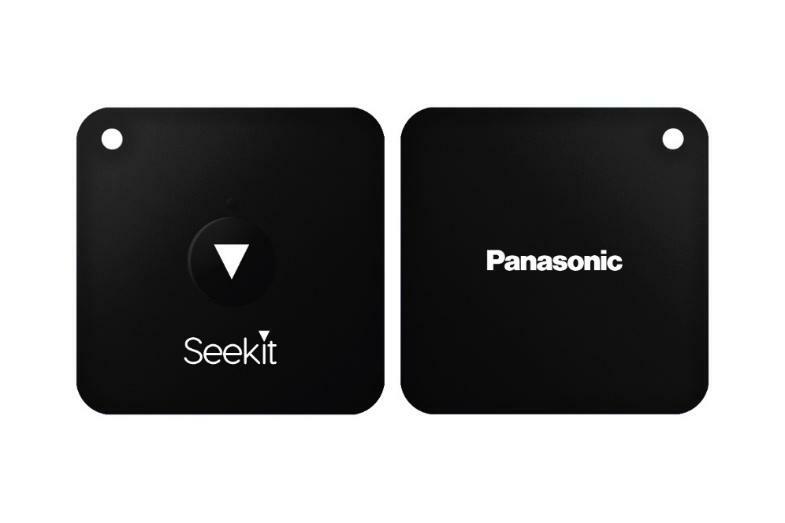 The newest product from Panasonic's India Innovation Centre, a portable and sleek Bluetooth(R) tracker empowers users to simply tag their valuables, connect to the Seekit smartphone app and find them without any hassle. Seekit features a Separation Indicator, Proximity Guidance, Last Seen Location, Bi-directional Tracking, and Voice Alerts with High Alert Mode for tracking; Low Alert Mode to avoid unnecessary alerts. Harnessing the power of Bluetooth(R) 5 for best in class Bluetooth(R) connectivity, and better battery utilization, lasting for about 12 - 18 months without a charge depending on the variant and usage. Seekit will be available in two variants, Seekit Edge and Seekit Loop, and is priced at INR 1599 and INR 1299 respectively. Developed at Panasonic's India Innovation Centre, Seekit will be available on various leading ecommerce platforms starting December 1st week. The Separation Indicator feature alerts the user as soon as the valuable is disconnected, reminding that the valuable is being left behind. These alerts can be customized in the user's own voice too, especially useful in case of multiple Seekit devices. With Bi-directional Tracking feature, not only does the Seekit help you find the tagged belongings but you can find your phone too by just double pressing the button on the tracker. Proximity Guidance would guide you towards your valuable. If you leave your phone behind, Seekit will Buzz and Glow reminding you to go get it. Seekit comes with a best in class Bluetooth(R) 5 as the core technology that provides connectivity range up to 100 ft. linear distance under test conditions. Bluetooth(R) 5 allows communication with a lower battery consumption, thus elongating the battery life and the fact that Seekit comes with a coin cell battery eliminates the hassle of daily charging. "We are largely focusing on both IoT and AI based solutions at our India Innovation Centre. The launch of Seekit is strategically aligned to our objective to create a smart and connected ecosystem. This is another step towards developing technologically advanced and convenient solutions for our consumers." Mr. Manish Misra, Chief Innovation Officer, Panasonic India said, "India Innovation Centre is aligned to Panasonic's objective i.e., to develop transformative business solutions in the space of Internet of Things (IoT) that further aids in better living. Seekit is a result of extensive research of consumer behaviour, where the solution uses IoT to safeguard valuables through our smartphone app while harnessing the power of Bluetooth(R)." The Bluetooth(R) word mark and logos are registered trademarks owned by Bluetooth SIG, Inc. and any use of such marks by Panasonic Corporation is under license. Other trademarks and trade names are those of their respective owners.